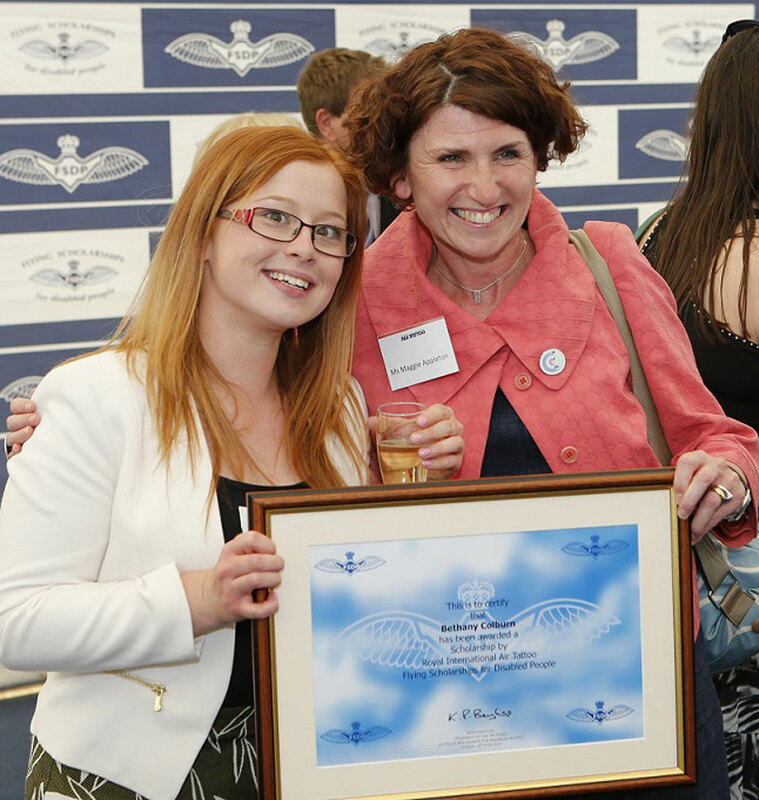 An Apprentice at the Royal Air Force Museum Cosford has been awarded a scholarship with the Flying Scholarship for Disabled People (FSDP). The 2015 scholars were officially announced at a special ceremony held at the Royal International Air Tattoo (RIAT) earlier this month. The successful applicants were presented with their scholarship certificates by FSDP patron HRH Prince Faisal of Jordon and Honorary Air Commodore Sir Stephen Dalton. Each scholar also received a Pooleys Private Pilot Licence starter kit containing all the essentials needed for their new venture, presented to them by Sebastian Pooley, Managing Director at Pooleys Flight Equipment Ltd.
Museum Apprentice Bethany Colburn, aged 21 from Albrighton, was selected from a panel of judges as their top scholar and will have the life changing opportunity of spending five weeks at the American Aviation Academy in San Diego, California. Bethany will be jetting off in September and will enjoy thirty five flying hours and associated ground schools whilst in America and will be partnered with a fellow FSDP scholar. Bethany, who was born with mild cerebral palsy which affects her mobility, went through a tough recruitment process to win her spot in this year’s selection. Following an initial application, each applicant was assessed by a team of experienced adjudicators consisting of FSDP Trustees and supporters at a pre selection board meeting. The top twenty four candidates then went forward to the selection stage at RAF Cranwell in a four day process, which included; meeting with Trustees and former FSDP scholars, now acting as mentors, before being interviewed and undergoing a medical assessment to ensure they are fit enough to fly. Flying Scholarships for Disabled People (FSDP), is a charity that provides a ‘once in a lifetime’ challenge for disabled people to help them realise their abilities through the medium of learning to fly. By the end of the training programme, some scholars are flying solo and many go on to achieve their Private Pilot’s Licence. Students who impress their Chief Flying Instructor during a general handling flying test and who reach an acceptable standard of competence, compatible with the nature of their disability, are awarded the FSDP Wings. The FSDP is in memory of Group Captain Sir Douglas Bader KBE DSO and Bar DFC and Bar DL who, after losing both his legs in a flying accident, went on to achieve fame in World War Two as a fighter pilot. 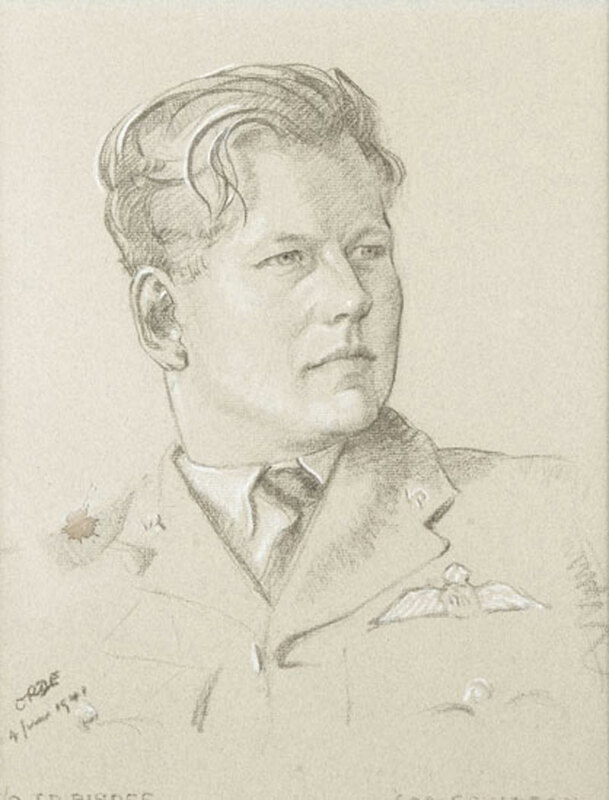 Following his death in 1982, organisers of the Royal International Air Tattoo introduced Flying Scholarships for Disabled People to continue Bader’s indomitable spirit. Since then, nearly 400 disabled people have been awarded scholarships. Now at the end of her four year Advanced Level Apprenticeship in Engineering Manufacture and having achieved her Level 3 NVQ Extended Diploma in Fabrication – Sheet Metalworking; Bethany hopes that the skills and experience she has gained at the RAF Museum, combined with the flying scholarship are the perfect platforms into a long and successful career in aviation engineering. For more information about the RAF Museum Cosford, visit www.rafmuseum.org/cosford or call 01902 376200. 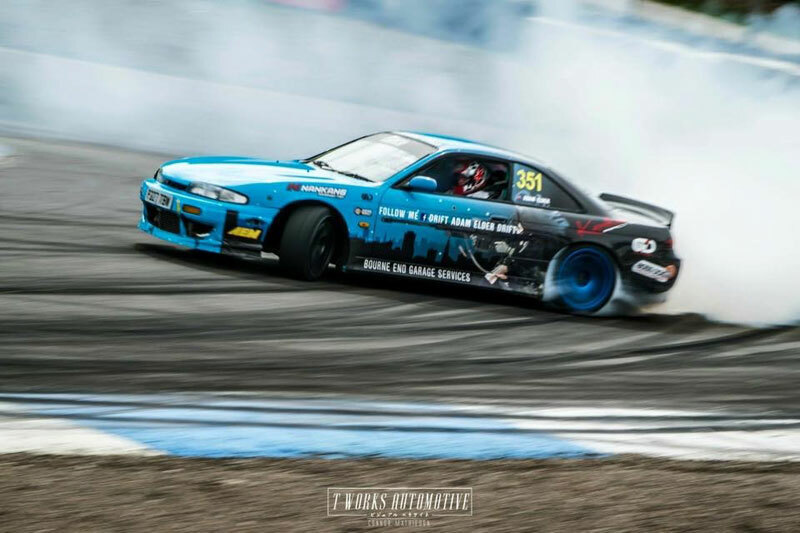 The revamped Wheels Zone & Parade is set to be the most interactive motoring attraction the show has seen this August Bank holiday weekend, Saturday 29th and Sunday 30th August. Motoring exhibitors are travelling from all over the South East to show off their beautiful machines including the Surrey Hills Mini Group, Skyline Owners Club, Porsche GB, RAF Typhoon Rally, Dragsters and many more. Spectators can also expect to see an eclectic mix of vehicles from vintage classics to modern favourites from our solo entries. New to the Wheels Zone for 2015 we have special interactive displays from Transformer Car Hire. They’ll be bringing their incredible Transformers motion picture replicas, along with some extra surprises for our audience to get involved with. Children and adults alike can have their photographs taken as they get up close and personal with the movie doppelgangers. Eagle eyed visitors will also be able to spot The UKG Stig wandering around the arena, catch him if you can for a selfie! We look forward to welcoming back our 2014 display winners Jaguar Enthusiasts, Muddy Diffs Overland and DS3 Club, who will be sporting even more interesting and inviting display arrangements. DS3 Club will be showcasing their traditional English mad hatter style tea party, whilst Muddy Diffs Overland have an even bigger and more impressive camping display with trenches and camping equipment. Jaguar Enthusiasts have been avid supporters of Wings & Wheels over the years and are always catching our visitor’s attention with their outstanding array of vehicles. Visitors can also look forward to seeing our popular crowd line parade as a mixture of old and new automobiles grab everyone’s attention as they slowly show off their metal. Visitors to Wings & Wheels can also enjoy the world famous Red Arrows, RAF Eurofighter Typhoon, RAF Eurofighter Typhoon & Spitfire (Synchro Pair), Vulcan, Chinook, The Blades and a host of other modern and historic aircraft during the five hour flying displays. For four and two wheeled fans, supercars and classic and vintage icons put on an awe inspiring display of power and speed on the Top Gear track in a two hour auto spectacular from Brooklands Museum, and over in our Wheels Zone you can expect an array of interactive and static displays to wander around. Tickets start from £22 for adults, £50 for a family (2 adults and 3 children aged 5 – 15yrs), £7 for children aged between 5 and 15yrs and under 5s are free. Hospitality packages start from £150 per person, weekend passes, grandstand tickets and camping are also available. 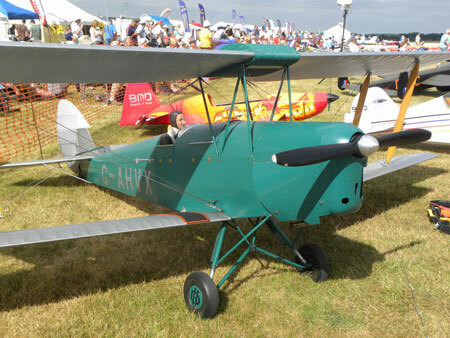 For more information visit www.wingsandwheels.net or to book standard tickets call 08712 305 572. 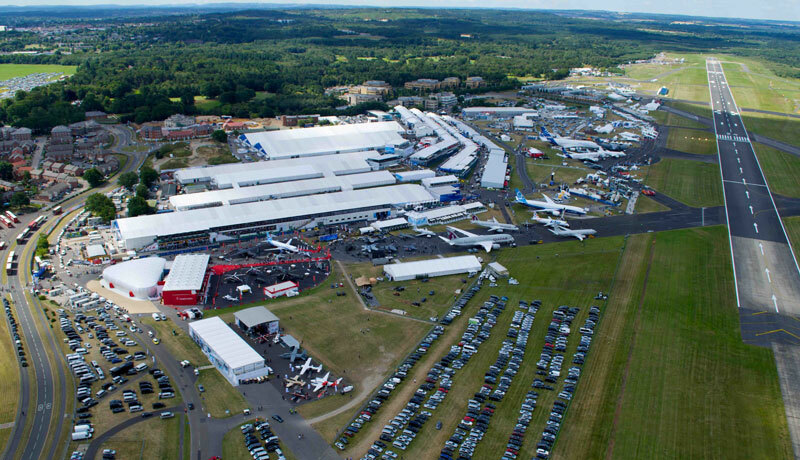 Wings & Wheels is promoted by Dunsfold Park Limited and in 2015 will be assisting the fundraising efforts of Help for Heroes and Brooklands Museum Trust. 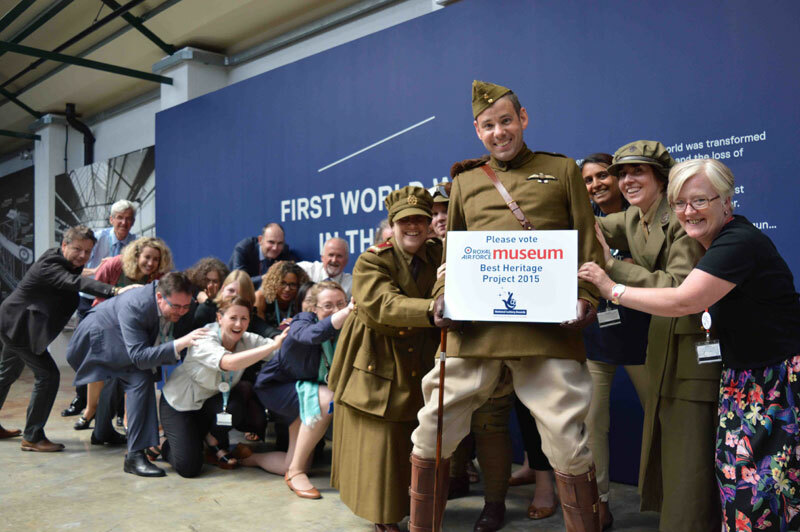 The First World War in the Air exhibition at the RAF Museum has been shortlisted for the National Lottery Awards 2015, which is fantastic news for the Museumand fans of aviation. There is a five-week public vote period which ends midnight 29th July. The Museum will compete against six other projects and voting is conducted by phone and online. *Each person can vote only once. THE Battle of Britain featured at Sunday night’s awards ceremony at the Royal International Air Tattoo (RIAT) at RAF Fairford in Gloucestershire, with two of the coveted prizes going to air displays commemorating our Second World War heritage.With the Air Tattoo staging a commemorative flypast and salute to ‘The Few’, it was fitting that the 75th anniversary of the conflict should be remembered at the Sunday Night Hangar Party, the traditional finale to the event. The presentations kicked off with an impromptu award by Andy Armstrong, Chief Executive of the RAF Charitable Trust Enterprises and Director of RIAT, who presented his own RIAT CEO Award – six bottles of champagne – to the Tri-national Tornado Training Establishment Tornados from the RAF, and the German and Italian Air Forces. The Paul Bowen Trophy – presented in memory of the Royal International Air Tattoo co-founder Paul Bowen for the Best Solo Jet Demonstration – went to the Finnish F-18 flown by Capt Ville Uggeldahl. The trophy was presented by Andy Armstrong. The Steedman Display Sword – presented by The Royal International Air Tattoo in memory of the late Air Chief Marshal Sir Alasdair Steedman, Chairman of the International Air Tattoo (1981-1988), for the Best Flying Demonstration by a UK participant – was awarded to the Royal Air Force Eurofighter Typhoon and Spitfire Synchro Pair. Spitfire pilot Flt Lt Antony Parkinson MBE was unable to attend the ceremony, and was represented by Flt Lt Nige Parker of the Battle of Britain Memorial Flight. 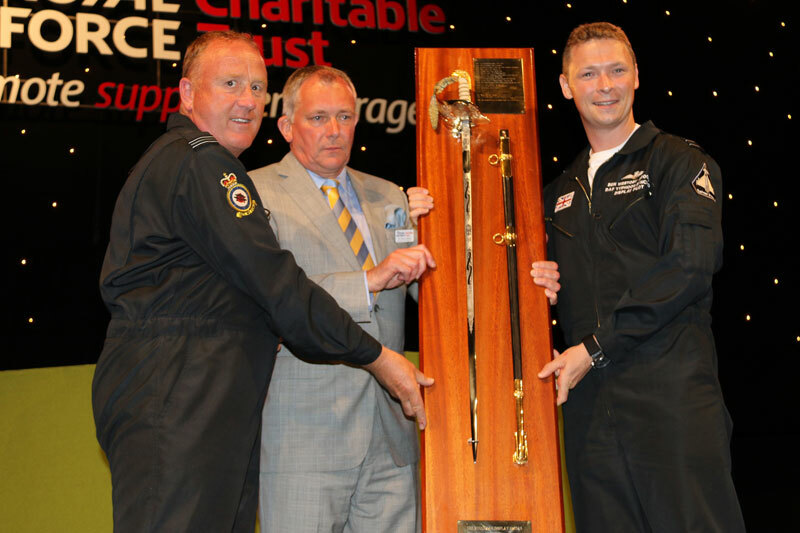 The As the Crow Flies Trophy, awarded for the best overall flying demonstration as voted for by the Friends of the Royal International Air Tattoo, was presented by Jim Glover, Non-Executive Director of the RAF Charitable Trust Enterprises. The award went to the Vulcan To The Skies Trust, a fitting tribute to Vulcan XH558 in its final display season. Finally, the top award, the King Hussein Memorial Sword – presented in memory of the late HM King Hussein of Jordan, Patron of the International Air Tattoo (1983-1989) for the Best Overall Flying Demonstration – went to the Battle of Britain 75th Anniversary Flypast, led by the Battle of Britain Memorial Flight. The sword was presented by Commander of the Royal Jordanian Air Force, Major General Mansour Al Jobour. Airbourne will bring its Super Saturday to a close with an explosive firework show this August sponsored by Eastbourne’s Ansvar Insurance. The traditional end of show fireworks take up a new Saturday night slot on 15 August, bringing a spectacular climax to a 12-hour extravaganza of flying, twilight pyro-aerobatics and music on the beach, headlined by chart topping band Scouting for Girls. The four day flying programme at the free show will see a packed day of action over Eastbourne’s skies on the Saturday, as fans bid a final farewell to the only flying Vulcan bomber, before it retires at the end of this season. As well as waving goodbye to a much loved favourite, fans can enjoy Eastbourne’s first ever glimpse of the world’s only working Blenheim bomber, along with Airbourne’s first MiG-15 and displays by the Typhoon, Chinook and RAF Red Arrows. In the evening, brand new aerobatic team Aerosparks will be lighting up the skies after sunset, in a stunning display of synchronised wingtip pyrotechnics from the dazzling flying duo. Local company, Ansvar Insurance have stepped in for a second year running to bring fireworks to the show in partnership with pyrotechnic experts Frontier Fireworks. 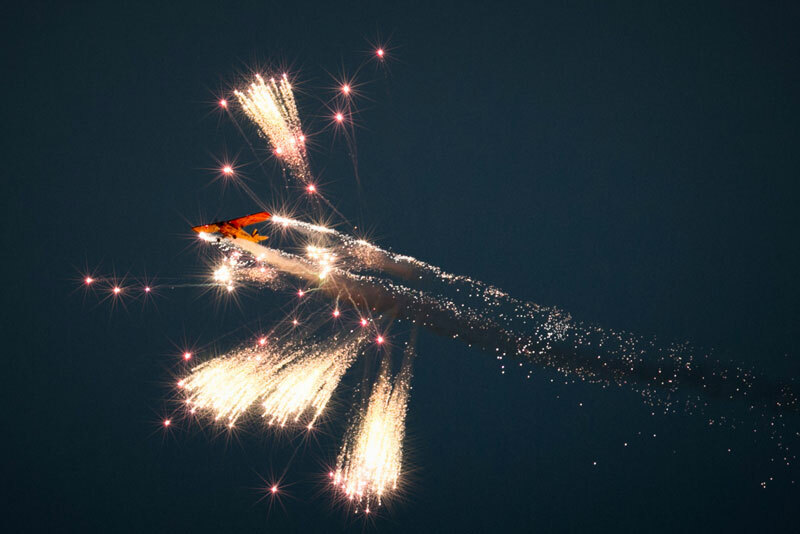 Especially chosen by the Red Arrows for their own 50th anniversary celebrations at RAF Scampton last year, Frontier Fireworks and sponsor ansvar are promising an explosive choreographed show. Kicking off the fun-packed celebrations on the Airbourne Live beach stage sponsored by TJ’s Nightclub, Tom, Nicola and Jack from Heart Breakfast will host an evening of live music launching the firework countdown at 10pm. Although entry is free, numbers are limited, so music fans are advised to arrive early. The popular beach stage will be offering a wide range of music and entertainment throughout the four days with performances from the likes of Hot Detroit, Decadence Sleaze, Dorey the Wise, Unihorn, The Do Theys, Beth Ellwood, Matt Ginno and the Street Styles 4 All Demo Squad. Brighton band Half Crown also take to the stage, having just performed alongside the likes of Basement Jaxx at Brownstock. De’Vide from BBC1’s The Voice, make a popular return to Airbourne, and Scouting for Girls take up the headline slot on Saturday at 9.15pm. Airbourne returns from 13 – 16 August with four days of flying, ground displays, children’s entertainment, helicopter pleasure flights and live music every day. Entry is free, with flying displays part funded by public donations each year, including generous support from Sussex residents David Dickens and Brian Bunce. This year collections will be organised by the Rotary Clubs of Sovereign Harbour and Hailsham, with 30% of the proceeds passed onto local charities Kent, Sussex & Surrey Air Ambulance, Riding for the Disabled and Friends of Eastbourne Hospital. Lottery tickets costing just £1 are also available at the Tourist Information Centre and Seafront Office for the chance to win hospitality and a flight with The Blades, with all proceeds supporting future flying displays at the show. To donate online or for exclusive seating, airshow hospitality or more information visit www.eastbourneairshow.com. Entries for this blog will be taken from the diary of a young pilot John Bisdee of No.609 (West Riding) Squadron, Auxiliary Air Force; and will describe not only his combat sorties but also his hopes and fears as well as his life off duty. On days when there are no diary entries the blog will reproduce information from the Air Staff Operational Summaries. The dates of 10th July to 31st October were selected as the blog’s publication dates as this period in 1940 was later laid down by the Royal Air Force for the allocation of Battle of Britain honours to units, and for aircrew to qualify for the Battle of Britain clasp. “First-hand accounts, written at the time of the Battle, are rare. Bisdee’s diary shows that life on the front line could be a mixture of intense action and off-duty relaxation. We tend to think of the Battle as taking place over the South-East but Bisdee’s squadron, based in Hampshire, saw action over an area stretching from the outskirts of London to Bristol. There are some gaps, but we have filled these with extracts from the daily Air Staff Operational Summaries, to give a picture of the overall campaign and we have also added relevant material from the Museum’s collections, such as portraits of Bisdee and some of his colleagues and a number of the squadron’s combat reports. John Bisdee was born in Weston-Super-Mare in 1915 and joined the Royal Air Force Volunteer Reserve in 1937. He saw action over Dunkirk in June 1940 and remained with 609 Squadron throughout the Battle of Britain being awarded a Distinguished Flying Cross and an OBE by the end of the war. He left the service in 1945 to resume his career with Unilever, before dying in October 2000. This year’s flying theme will be commemorating the 75th Anniversary of the Battle of Britain, considered the most important event in Royal Air Force history. Visitors to the show will see a spectacular anniversary display of World War Two aircraft, plus, aircraft from the early days of aviation; through to the modern jets of today will be flying during the model show weekend. Step into the Battle of Britain Hangar at the Museum’s London site and step back into the year 1940. Visitors can literally walk through history, as every step takes you through the events that led to ‘Our Finest Hour’. From the rise of the Nazi party, to a war torn London street, to a face to face meeting with Winston Churchill. The hangar focuses on the epic struggle of 1940 with a range of exhibits including a replica Ops Room; Radar machines; an Enigma code-breaker machine; the statue of Sir Keith Park (which was on display on the fourth plinth at Trafalgar Square; weaponry and paintings. And of course it holds the best and most comprehensive Battle of Britain aircraft collection in the world including examples from Britain, Germany and Italy such as the Spitfire, Hurricane, Heinkel HE111, Junkers JU87 Stuka, Junkers JU88 and ME 109. To mark the arrival of the Spitfire Mk16 (a Spitfire you can sit in!) the museum will be holding a full week of Spitfire kit making. Come along, grab a kit for £3 and let your creative flair help you to make and paint your very own model Spitfire. Then, take it home! Simon Owen, lead Researcher at Hornby Hobbies Ltd will be at the museum on 28 August to give an insight into the fascinating world of Airfix and how they scale down an iconic aircraft of the Battle of Britain to produce perfect replicas for today’s modellers. Covering a range of topics including the history of the company and the production process, Simon will also be on hand to answer your questions at the end so don’t miss out on this perfect opportunity to see what goes on behind the scenes at Airfix HQ. Dreams come true at the RAF Museum this August as we unveil our Spitfire Mk16 ‘experience’. The Spitfire will feature in our Historic Hangars gallery as we offer the thrilling opportunity to climb inside and take the pilot’s seat! 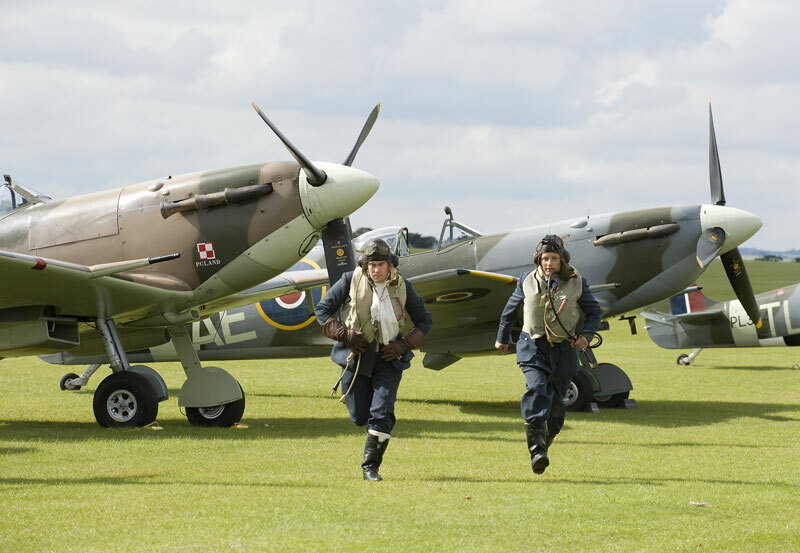 Commemorate the 75th Anniversary of the Battle of Britain in style with this brand new event starting and finishing in the magnificent surroundings of the RAF Museum in Hendon. The race begins in the shadow of one of the RAF Spitfires and takes you on a special journey, including a section through the bomber hangar and around the iconic Lancaster, before leaving the museum for two loops of a flat road course. Your finish will be commemorated with an exclusive Spitfire medal. Author and broadcaster James Holland looks at the men who flew in the Battle of Britain – British and German – and examines the culture, conditions and character of the two sides and the aircraft they flew. He explores how these planes came to dominate the skies, their strengths and weaknesses and what lessons were drawn from this most significant of aerial battles. The Royal Air Force Museum Cosford will be commemorating the Battle of Britain with a nostalgic weekend of events and activities for the whole family to enjoy. Events include a flypast from the Battle of Britain Memorial Flight Spitfire, plus Leonides, Bristol and Griffon engine demonstrations; live music by Marjorie Cartwright-Jones in a 1940s Home Front Cabaret; a chance to have a lesson in a 1940’s classroom; storytelling and a chance to dress up in vintage RAF uniforms. A one off and once in a lifetime experience to get closer to the original Battle of Britain aircraft – including the iconic Spitfire and Hurricane. This immersive experience will allow visitors closer access to the cockpits and include explainers who will bring aspects of the legendary aircraft to life. There will also be a bar in the mezzanine area overlooking the aircraft with a 1940’s cabaret act and a special display of rare and unseen items from the Battle of Britain from our archives. BBC Singers make a ground-breaking visit to the Royal Air Force Museum for a concert which marks not just that famous aerial combat, but also celebrates man’s long fascination with powered flight – from Icarus to the Space Age. The programme includes the world premiere of ‘Three Spitfire Motets’ by Edward Cowie, Eric Whitacre’s musical portrayal of the flying-machine invented by Leonardo da Vinci, and Airplane Cantata – Gabriel Jackson’s extraordinary musical of the aeronautical age, in which the BBC Singers are accompanied by virtuoso pianola-player Rex Lawson. The concert will be held in the Museum’s Historic Hangars, a completely unique musical occasion – one not to be missed! Battle of Britain Conference: A Necessary Victory? A thought provoking conference which aims to reassess the Battle of Britain’s contribution to victory in the Second World War in both its global and regional perspectives. Areas to be considered include: what new approaches might scholars bring to the history of the Battle of Britain? How have historians’ understandings of the Battle of Britain changed? What was the role of the other services in preparing for invasion? How did Germany view the Battle of Britain and the importance of Operation Seelowe? How was the Battle of Britain viewed in the international arena? What is the cultural legacy of the Battle of Britain?